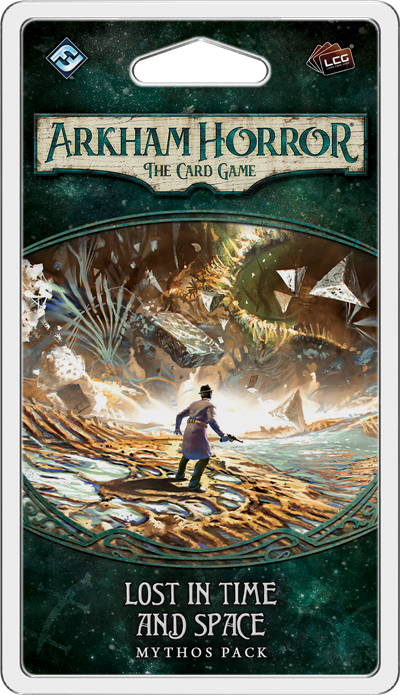 As your search for two missing professors has led you down the path to abject madness, Fantasy Flight Games is proud to announce the upcoming release of Lost in Time and Space, the sixth and final Mythos Pack in The Dunwich Legacy cycle for Arkham Horror: The Card Game! As the conclusion of The Dunwich Legacy cycle, the new scenario from Lost in Time and Space is full to bursting with otherworldly chaos, non-Euclidean geometry, and menacing, extra-dimensional entities possessed of incomprehensible powers. 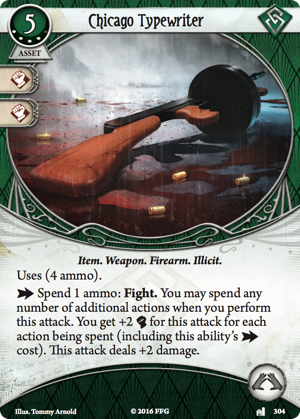 And for those who play it as the capstone of The Dunwich Legacy campaign, the scenario's also littered with effects that call back to the decisions you've made. It is an adventure, a reckoning, and a descent into madness. The ground before you shifts and disintegrates. Worlds appear and disappear. Pockets of reality spring into existence, only to collapse moments later. And you are somewhere—and somewhen—amidst all of this chaos, looking for some way to escape it. Will find a pathway back to Arkham? Will you get lost? Will your mind unravel amidst the chaos of a realm beyond the veil of our reality? Will you be devoured by entities no other human has seen or heard? Will you end up stranded, forced to endure an eternal, withering existence of atrophy in an alien world beyond mortal time and space? It may all depend on how you spend the experience you've gained over the course of your campaign. Do you shore up your weaknesses? Do you double-down on your strengths? Do you spend your points here and there, dishing out one or two for a series of smaller upgrades? Or do you cash in large chunks of experience for a couple key cards? 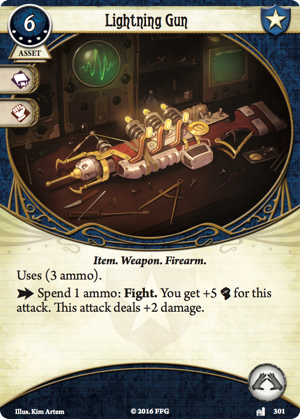 There's no telling which strategy may prove best, but if you've got the experience, the player cards from Lost in Time and Space will provide you plenty of ways to spend it. In addition to its scenario, Lost in Time and Space introduces twenty-four player cards (two copies each of twelve different cards), and most of these require some rather heavy experience expenditures. In return, they grant you access to some rather astonishing abilities. Among those, you'll find the bigger guns you need, as both Lightning Gun (Lost in Time and Space, 301) and Chicago Typewriter (Lost in Time and Space, 304) are two-handed Firearms that cost four or more experience and deal three damage per shot. But while those Weapons are undoubtedly powerful, they're also relatively straightforward. And there are other cards in Lost in Time and Space that are decidedly not so straightforward. 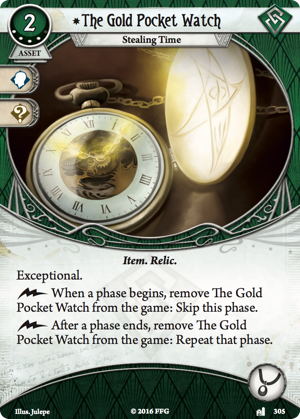 One of these is The Gold Pocket Watch (Lost in Time and Space, 305), an Exceptional accessory that requires you spend eight experience to add it to your deck. However, when you do, it grants you the astonishing ability to either skip a phase—such as the Mythos phase—or repeat one. While forces beyond your comprehension are shifting time and space at will, it seems only fair for you to use The Gold Pocket Watch to fight back. Of course, even then, there's no telling it will be enough.